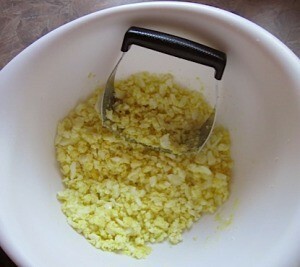 A quick and easy way to make egg salad sandwich spread quickly is to use a pastry blender tool. This is normally used to get your pie crust ready to roll. If you leave the boiled eggs whole, then slice down with the blades to make into tiny little pieces for condiments.